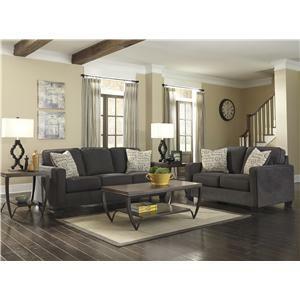 The Burgos Living Room Group by Signature Design by Ashley at Casa Leaders Inc. in the Wilmington, Long Beach, Torrance, Lakewood, Los Angeles area. Product availability may vary. Contact us for the most current availability on this product. 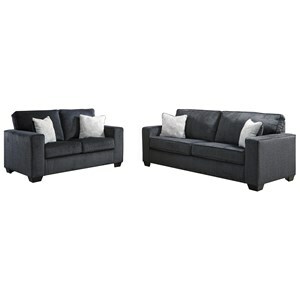 Welcome the sophisticated elegance of modern design into your home with this sofa and loveseat set. With contemporary features such as track arms and clean lines, these pieces will make a wonderful addition to any modern living space. 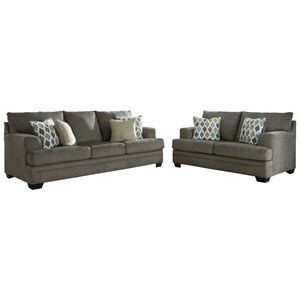 The sofa and loveseat from this collection ship to you in a box for at home assembly. By shipping in a box, they can fit around tight corners and up narrow staircases within your home. 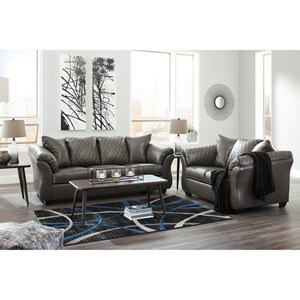 The Burgos collection is a great option if you are looking for Contemporary furniture in the Wilmington, Long Beach, Torrance, Lakewood, Los Angeles area. 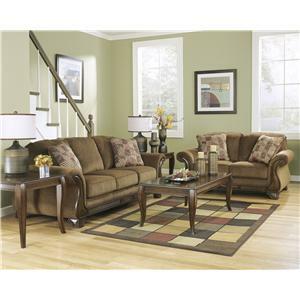 Browse other items in the Burgos collection from Casa Leaders Inc. in the Wilmington, Long Beach, Torrance, Lakewood, Los Angeles area.